Instagram Photo Sharing Ke Sath Or Bhi Bahut Kuch Kar Sakte Hai, Agar Aap Apne Account Ko Regularly Update Karte Hai Or High Followers Account Hai To Aap Apni Audience Ke Sath Brand Promotion Karke Paise Kama Sakte Hai, Photography Business Bhi Instagram Se Online Promotion Karke Behtar Dang Se Grow Kar Sakte Hai. Affiliate Marketing Or Paid Review Bhi Instagram Me Karke Achhe Paise Earn Kar Sakte Hai Aapne Celebrity Accounts Dekhe Hoge Jo Hamesha Kisi Na Kisi Brand Ke Pics Share Karte Hai Yeh Bhi Instagram Earning Ka Ek Main Part Hai, Maine Old Article “Instagram Se Paise Kaise Kamaye” Me Iske Bare Me Achhe Se Guide Kiya Hai. Sabse Pahle Instagram Me Jaye Or Stories Camera Me Jaye Or Koi Bhi Text Add Kare Uske Bad Link Icon Par Tap Kare Uske Bad Aapko Link Type Karna Hai Or Story Published Karna Hai, Yeh Swipeble Instagram Story Links Features Abhi Only Business Verified Profiles Me Enabled Hai, Jiske Bare Me Instagram Users Ko Jyada Jankari Nahi Hoti Hai. Instagram Use Karte Hai To Aapko Pata Hoga Ki Aap Koi Bhi Video Or Photos Ko Instagram Se Direct Download Nahi Kar Sakte Aise Me Aapko Kuch Tricks Follow Karne Hoge Uske Bad Aap Koi Bhi Instagram Photos Or Video Ko Phone Me Download Kar Sakte Hai, GB Instagram Ek Third Party Instagram Moded Version Hai Or OG Instagram Bhi Aapko Yeh Features De Sakta Hai. Market Me Bahut Sare Third Party Apps Bhi Available Ho Chuke Hai Jo Instagram Or Facebook Video Ko Download Karwa Dete Hai Wo Bhi Original Quality Me, Instagram Video Or Photos Download Kaise Kare Post Ko Jarur Padhe Jisse Aap Instagram Ki Koi Bhi Photo Or Video Apne Smartphone Me Saved Kar Sakte Hai. Ek Phone Me 2 Instagram Account Use Karne Ke Liye Aapko 2 Instagram App Ki Jarurat Nahi Hogi Jaise WhatsApp Ke Liye Aap GB WhatsApp Download Karte Hai Par Instagram Me Multiple Account Access Karne Ka Feature Pahle Se Milta Hai Jisko Use Karte Unlimited Instagram Account Ek Application Me Access Kar Sakte Hai. 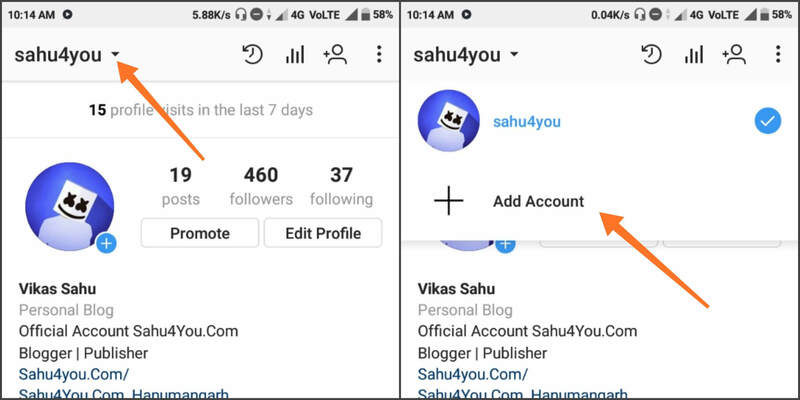 Ek Phone Me Multiple Instagram Account Use Karne Ke Liye Sabse Pahle Instagram Profile Me Jaye Or Apne Username Par Click Kare Jiske Bad Ek Menu Open Hoga Jaha Par Add Account Ka Option Hoga Yaha Par Aap Secondary Account Manage Kar Sakte Hai, Manage Multiple Accounts on Instagram Bahut Easy Hota Hai. Instagram Par Agar Aap Bahut Sare Accounts Ko Follow Kar Rahe Hai Or Aap Sabhi Ko Unfollow Karna Chahte Hai To Instagram Officially Aap One By One Manually Unfollow Kar Sakte Hai Jisme Aapka Bahut Sara Time Waste Ho Jata Hai Par Instagram Unfollowers Tools Se One Click Unfollow Karke Instagram Account Ko Clear Or Clean Kar Sakte Hai. Normally Internet Par Bahut Sare Third Party Unfollowers Tools Available Hai Par Maine “Instagram Ke Sabhi Followers Ko Mass Unfollow Kaise Kare” Me Bahut Sare Working Or Easy Tutorial Share Kiya Hai Jisse Easily Sabhi Ko Ek Sath Unfollow Kar Sakte Hai, Yeh Third Party Tools Hote Hai Jo Yeh Service Provide Karte Hai. Agar Aap Apne Favorite Celebrity Ke Latest Updates Pane Ke Liye Usse Follow Kar Rakha Hai Or Aap Uske Koi Bhi Updates Ko Miss Nahi Karna Chahte To Yeh Instagram Feature Aapke Liye Hi Banaya Gya Hai Jo Aapko Us Account Ke Latest Post Ki Notification Send Karega Jisse Aapko Wo Update Sabse Pahle Mil Jayega, Sabse Achhi Baat Yeh Ki Aap Kisi Specific User Ki Notification Set Kar Sakte Hai. 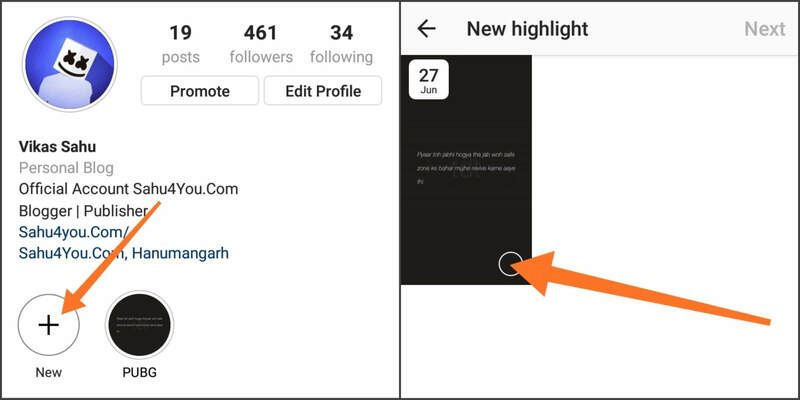 Instagram Par Post Notification Enabled Karne Ke Liye Sabse Pahle Aapko Us User Ke Account Par Jana Hoga Jiski Notification Enabled Karna Chahte Hai Uske Bad Three Dot Menu Par Click Kare Or Turn On Post Notification Par Click Kare Jisse Aapko Us Specific User Ke Har Latest Post Ki Notification Update Hote Hi Prapat Hogi. 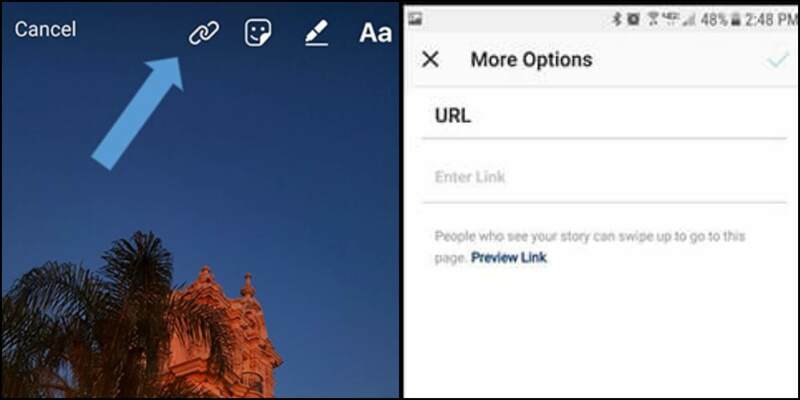 Instagram Profile Picture Ko Download Save Kaise Kare Post Ko Padhe Jisme Maine Iske Bare Me Jankari Di Hai Jo Aapke Liye Helpful Hogi Or Aasani Se Instagram Profile Picture Download Kar Sakte Hai. 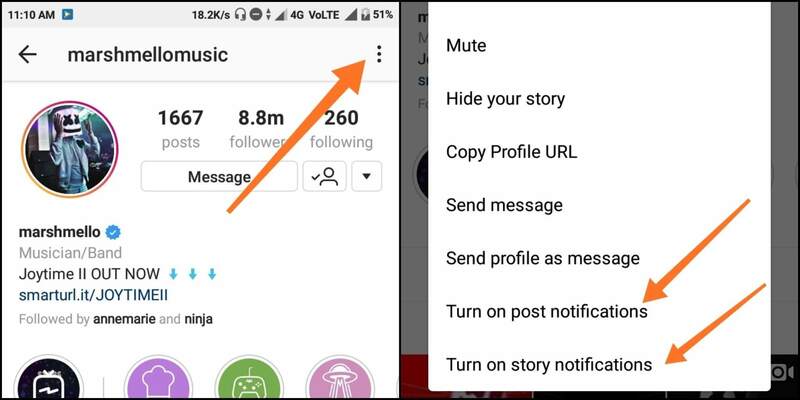 Dosto, Instagram Tips Tricks Ko Apne Friends Or Social Media Par Bhi Jarur Share Kare!